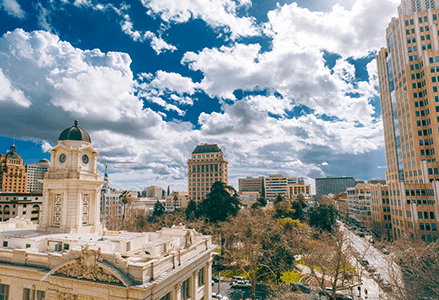 Vineyard is a small community located in the Sacramento Metropolitan Area, so the closest treatment centers are located surrounding the city. If patients want to attend a facility close to Vineyard, most of them are within a 30-minute drive. While all treatment centers are different, they all provide the necessary skills to reach sobriety. If you live in Vineyard, and have fallen victim to substance abuse don’t hesitate to seek treatment. There are enormous resources at your disposal. Vineyard, California is a census-designated place in the Sacramento-Arden-Arcade-Roseville Metropolitan Statistical Area. The area has a population of 24,863 and has an average family size of 3.63. Out of the entire population, approximately 48.5% are males and 51.5% are females and the median resident rate is 33.8 years old. The median family income is about $83,864 which is higher than California’s at $67,739. The median house or condo value $383,535 and is slightly lower than California’s average which is $477,500. The majority of the population, 32.7%, is Caucasian, but is closely matched with people of Asian decent that make up 30.8% of the population. Hispanics make up 19.4% of the population and the African American race makes up 8.8%. People with two or more races make up the other 7% of the population. The most common type of crime reported in Vineyard is property crime and is estimated there are 3,297 arrests per every 100,000 people per year. This is higher than both California’s average, 2,553 per every 100,000, and the nation’s average, which is 2,451 per every 100,000 people. Violent crime accounts for 575 out of every 100,000 arrests which is also higher than California’s and the nation’s averages which are 445 and 386 respectively. The choice to recover from an addiction is not an easy one for the patient or their families, so it helps to understand what the treatment process is going to look like. Sometimes programs may stray from the typical treatment steps, but for the most part programs follow the same process. All courses of treatment usually begin with an assessment starts with a phone call to the facility to speak with a specialist about general information. The assessment specialist may ask very general questions about the patient and their addiction history or other medical information. This information is used to gauge what kind of treatment the patient requires. The patient and specialist may decide on a time for the patient to arrive during this time and help them with any administrative or insurance questions they may have. Pre-intake forms may be completed prior to arrival by the patient or their family. This is where detailed information like the patient’s medical history and substance abuse are collected. It may also ask questions about any past treatment, employment status, and other health information that will help the intake specialist to gain a clear idea about the severity of the addiction and the treatment needed. This is the point of the treatment process where the patient and their family meet with treatment staff to discuss the precise needs the patient might have. During the intake process patients may ask questions and work together with the staff to develop a treatment plan and goals. Rather than the pre-intake questionnaire, the intake is an open discussion and can address all of the patient’s individual needs. When a person has abused drugs or alcohol, their bodies get used to receiving it on a regular basis. Detox is a crucial step when it comes to recovery regardless of what type of treatment they are planning to receive. Typically, detox lasts anywhere from 3-10 days and the period of time depends on the length and severity of the substance abuse. Most treatment facilities operate their detox program in a separate, medically staffed building or hospital that ensures privacy. The first step of detox is for the patient to undergo a complete physical and mental evaluation. The patient is usually required to submit their previous health information during the assessment process but might be asked for it again at detox. The purpose if this is to make the treatment staff aware of any additional symptoms to look for and to help them diagnose any co-occurring disorders that can be included in their treatment plans. Following the assessment, the patient begins the stabilization process to rid their body of any substances and help them regain their overall health. Other professionals like a nutritionist may be a part of this process to help teach the patient how to eat healthy and nourish their bodies. Since detox is such a physically exhausting process, it is important to provide extra assistance to help the patient return to their sobriety. During the detox process, the patient goes through withdraw to eliminate whatever substances have been abused from the body, which will have side effects. The severity of the side effects may vary depending on the intensity of the addiction and include palpitations, muscle tension, trouble breathing, headaches, restlessness, depression, anxiety, or irritability. Other serious health problems like seizures, stokes and heart attacks are also fairly common. After completing detox, patients may transition into an array of inpatient treatment centers that vary in length and frequency of treatment. The type of treatment needed is determined during the assessment or intake process by medical professionals and counselors and are agreed upon by the patient and their families. Inpatient treatment is very common for patients and its structure is typically altered for the specific patient. The three common types of inpatient treatment are residential treatment centers, partial hospitalization programs and intensive outpatient programs. Residential Treatment Centers (RTCs) are the most intensive of the three and care is offered 24 hours. Patients live on-site the entire stint of their treatment either in individual rooms or with a group of up to six other people. During the week patients take part in both group and individual therapy sessions daily. They also learn healthy coping mechanisms and important life skills to utilize once the begin living independently. Families are also encouraged to be a part of their loved ones’ treatment and family therapy sessions are typically offered certain days a week. Partial Hospitalization Programs (PHP) is like participating in treatment the same way a patient would a full-time job. These programs do not offer constant assistant like RTCs do but offer the same type of less-intensive programs. Patients may live at home and commute or live in on-site housing that offers a lower level of assistance. Individual and group therapies still may be the main focus and additional skills are taught to help the patient when they are not in the program. Intensive Outpatient Programs (IOPs) are one of the most independent types of inpatient treatment. Typically, IOP groups only meet a few times a week for a couple of hours during the evening. This is helpful to patients who don’t need the constant support of inpatient treatment but are still trying to transition to independent living or patients who may need a little bit more than weekly outpatient treatment but don’t necessarily require a RTC program. Outpatient treatment is commonly a long-term treatment plan that patients can utilize once they have completed their inpatient program. Patients who feel they need support recovering from an addiction may also seek out outpatient services without going through an inpatient program. Patients meet with either an individual psychiatrist, psychologist or counselor about once a week and also may participate in group activities like Alcoholics Anonymous (AA) or family therapy with their loved ones. Outpatient may be used to assist other forms of treatment and keep the patient accountable in their sobriety. Aftercare is critically important following any type of treatment and exists in many different ways. Treatment is considered aftercare as long as it is ongoing and consistent, but might be residential, individual or in groups depending on the patient’s needs. Aftercare programs are designed to help the patient transition from their treatment program into living independently and prevent them from returning to their addictive lifestyle. They can help patients with relationship problems their disease may have cause, housing and financial troubles, career or educational goals and any other medical concerns the patient may have. Because assimilating into society as sober can be extremely difficult and overwhelming, many sober living facilities, sometimes called halfway houses, exist to help. In some cases, patients may be free to do things like work or enjoy other activities during the day but have to return to the facility by night for a curfew. Rules like this are designed to help keep the patient away from any substances while also providing them food and shelter as they may need. They also learn important life skills that will help them in whatever future they intend to lead individually. The 12-step program is one of the most common tools used to treat substance abuse. The program was originated by an Alcoholics Anonymous group and is currently used in 75% of treatment centers. The program encourages the patient to view their addiction as something that is out of their control and learn to hand it over to a higher power to help them while they embark on recovery. There have been people that feel uncomfortable or disagree with the religious aspect of a higher power and have adapted their own alternatives, but the original 12 steps are still the most recognizable. The patient realizes that they have no control over their addiction. The patient begins to believe that it is possible to overcome their addiction with the help of a higher power. The patient gives all their control of their disease to their higher power. The patient evaluates their life and how it has been affected by their addiction. The patient can tell themselves, their higher power and another person that they have done wrong in their lives. The patient admits they want the higher power to accept them for where there are and help them fix their character flaws. The patient is able to psychically ask their higher power to rid them of their character flaws. The patient lists all the ways they have caused harm to other people and understand that need to apologize and make amends. If it is appropriate, the patient contacts the people they have caused harm to and seeks forgiveness. The patient can keep themselves accountable in their addiction and can recognize and correct mistakes they make during recovery on their own. The patient continues to seek a meaningful connection through prayer and meditation with their higher power. The patient continues to practice the steps themselves and share them with others who are struggling with addiction.